Congratulations on your engagement! Now it’s time to have some fun planning your wedding! The Premier Bridal Event is an upscale bridal show that will be held on Sunday March 10th from 12 to 5pm at the centrally located Hilton Hotel in Universal City. Harsanik.com is very excited about our venue this year as it is one of the largest ballrooms in Los Angeles, much larger than any of our previous venues. We are looking forward to having a lot of open space to allow brides and guests to walk around and mingle with vendors. Harsanik.com has once again partnered with Fancy That! Event Design & Coordination to bring together some of the best vendors in the Southern California wedding industry. 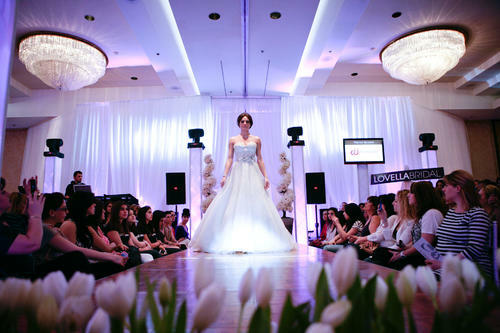 In addition, live entertainment, a couture bridal gown fashion show, wedding cake tastings, and raffle prizes are just a few of the highlights of the 2013 Bridal Show! This will be an event you don’t want to miss! Pre-sale tickets are now available for $20 at www.harsanikbridalshow.com/tickets and will be sold at the door for $25. This entry was posted in Events, Hilton, Los Angeles, Universal City, Wedding and tagged #design, beauty, bridal, cake, catering, designs, DJ, event, Events, fancy, fashion, fashon, floral, flower, gown, Harsanik, hilton, hilton universal, Hotel, invitations, jewelry, LA, local events, Los Angeles, music, planning, Premier, production, shopping, show, southern california wedding, style, tickets, Universal City, upscale, venue, wedding, Weddings. Bookmark the permalink.